Local governments in New York State can use the Clean Energy Communities program to implement clean energy actions, save energy costs, create jobs, and improve the environment. In addition to providing tools, resources, and technical assistance, the program recognizes and rewards leadership for the completion of clean energy projects. 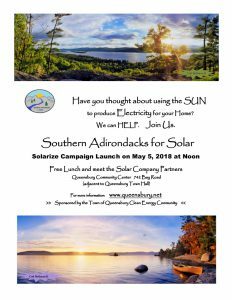 The Southern Adirondacks for Solar program will kickoff with an event on Saturday May 5, 2018 at noon. This two hour gathering will give you an opportunity to learn about the program, meet our Solar Company Partners, talk with the CEC members and enjoy a FREE lunch. The kickoff event will take place at the Town of Queensbury Community Center (742 Bay Road adjacent to the Town Hall). 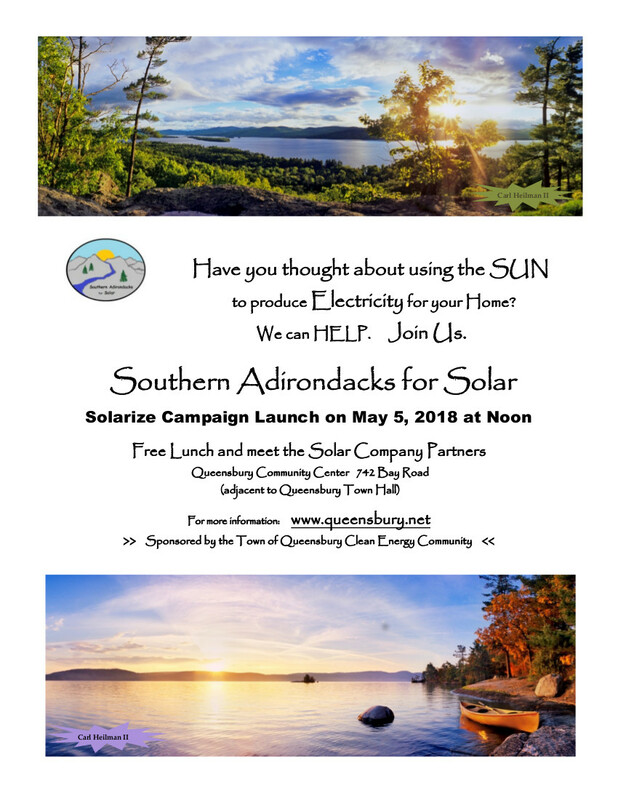 Residents and business owners who are interested in learning more about the Southern Adirondacks for Solar program are urged to attend. 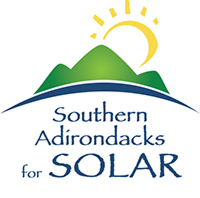 The Town of Queensbury’s Clean Energy Community (CEC) Committee will coordinate a Solarize Campaign under the title Southern Adirondacks for Solar, a program that will make investing in solar power easier and more affordable for local residents and businesses. The Town of Queensbury is coordinating the Solar Campaign, with the following municipalities committed to join in the endeavor (offering the same discounted solar to their residents and businesses): City of Glens Falls; Towns of Hague, Bolton, Lake George, Horicon, Warrensburg, Chester; and the Village of Lake George.